At today’s Universal Periodic Review, the Irish government was also called on to address the situation of thousands of asylum seekers and take steps towards improving the conditions they live in. THE IRISH GOVERNMENT has been called upon to explain why it rejected a recommendation from peer UN states to recognise Travellers as a separate ethnic group. The comments were made during a hearing for the UN’s Universal Periodic Review yesterday. During the hearing, a spokesperson there on behalf of Pavee Point said that further steps need to be taken and they were disappointed at the rejection of the reccomendation. He said that the Irish government “has not come up with any justifiable rationale as to why” Irish Travellers should not be recognised as an ethnic group. 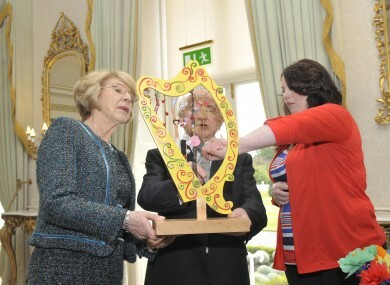 He noted that Travellers have their own history, culture and language and are “incredibly proud” to be Irish. He said that the government pledged to undertake a national action plan in response to a study it commissioned on Traveller health in 2010, which showed that the mortality rate for Travellers is three times higher than the national average. The Irish Human Rights Commission said at the hearing that Ireland needs to make serious, sustained and quantifiable efforts in a number of core areas, including Traveller ethnicity, immigration, migrant workers, the rights of children, and Magdalene Laundries. In reply, Ireland’s UN representative, Gerard Corr, said that the issue of Traveller ethnicity will be further considered. He said that it is “quite clear we need to do more” but that there was “no clear unity in the Traveller community” that recognising them as an ethnic group would be a desired or useful step. He said that more consultation has to take place in this area. Meanwhile, the Irish Refugee Council (IRC) welcomed the Irish Government’s commitment to enhancing protection for all children in Irish society and urged it to extend the remit of the Ombudsman for Children to include asylum seeking children. It also urged the Government to bring forward new legislation on asylum and immigration as a matter of urgency. The IRC noted that proposals for reform of the immigration and asylum systems have been brought to committee stage three times over the last 10 years, but legislation has yet to be passed. The most recent version, Immigration, Residence and Protection Bill 2010, was recently withdrawn. Email “Calls for government to recognise Travellers as ethnic group”. Feedback on “Calls for government to recognise Travellers as ethnic group”.